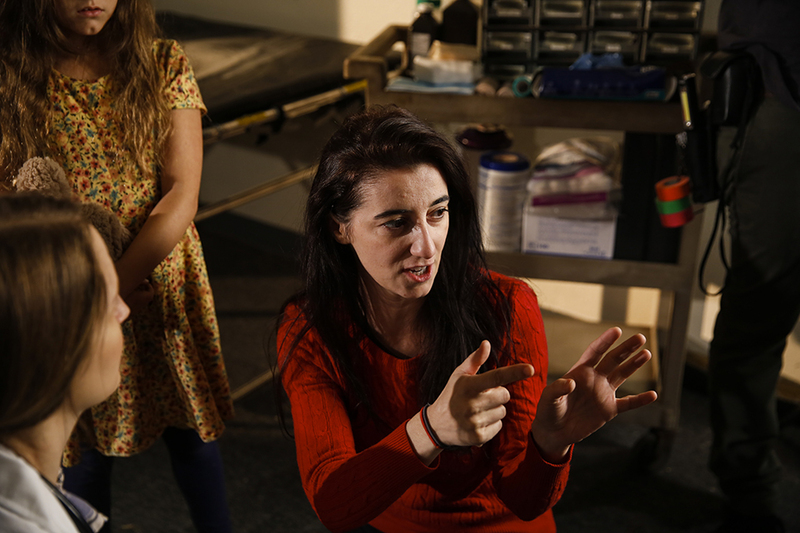 Dilek Ince at work on the set of “Amal,” which earned her the the Directors Guild of America Jury Award in the category of Outstanding Women Student Filmmakers. Photo courtesy of Dilek Ince. Dilek Ince knew in middle school that she wanted to be a storyteller when she grew up. By high school, she knew she wanted to tell her stories through film. Once she graduated, Ince packed a solitary suitcase, boarded a plane in her native Turkey and headed to Los Angeles – the land where movies are made. Ince, who graduated from California State University, Northridge in August with a bachelor’s degree in film, took a huge step forward today in cementing her career as a filmmaker. The Directors Guild of America Student Film Awards has given Ince’s senior film project, “Amal,” its Jury Award in the category of Outstanding Women Student Filmmakers. 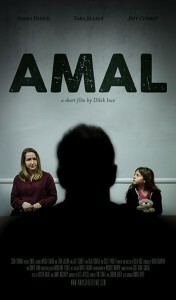 A scene from “Amal,” which earned Dilek Ince the DGA’s Jury Award in the category of Outstanding Women Student Filmmakers. Photo courtesy of Dilek Ince. “I am so happy, and stunned that I am receiving this award,” Ince said. “It’s an honor to receive such an award from the DGA. It is great to be recognized as a female filmmaker. Cinema and television arts professor Nate Thomas, head of CSUN’s film program, said Ince’s award was well deserved. “Amal,” which was written and directed by Ince, tells the story of an American volunteer doctor who witnesses a tragic event that leaves a 7-year-old Syrian girl without a family. The doctor adopts the girl and hopes to bring her home to the United States, but problems arise when a travel ban is placed on Syrians just as the pair arrive in America. Ince found inspiration for her film in news reports about war. Ince said among the first things she did when she arrived in Los Angeles 10 years ago was to learn English. “My dream was to become a director who writes her own scripts, and to do that I had to learn the language because I was going to be the best screenwriter I could be,” she said. Ince learned English, took extension classes at UCLA, enrolled in classes at Santa Monica College and worked on screenplays and other small film projects on the side. When she was ready to formally study filmmaking, she applied to and was accepted into several universities, including a couple of University of California campuses and New York University. She transferred to CSUN as an international student in 2016. Only five student projects are selected each year to take part in CSUN’s annual Senior Film Showcase. Ince said she was determined to be among those chosen. Students who want to have a project considered have to take a screenwriting class. The instructor warned the students to avoid writing projects that involved subjects that might prove difficult to film, such as hospitals, airports and children. Ince, who currently works as a technical director for a film company, said winning the DGA award is an affirmation that she is doing what she was meant to do. She intends to continue to pursue her dreams of writing and directing her own movies. She added that the experience of coming to the United States by herself as an international student who, at first, did not know English was a challenge, but has taught her that she has the strength to succeed regardless of the obstacles. She said it has also provided her with a perspective that influences how she sees the world as a filmmaker.